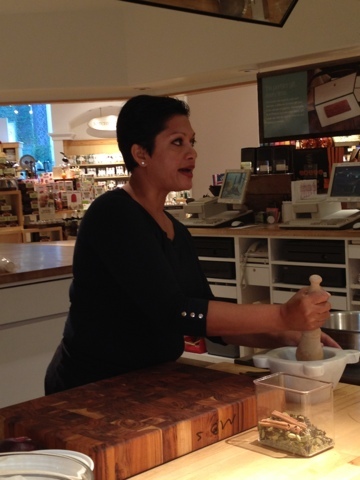 Right now, I'm at Williams-Sonoma watching Anupy Singla from Indian As Apple Pie cooking a vegan Indian breakfast! She was a TV reporter who became a cookbook writer: Vegan Indian Cooking and The Indian Slow Cooker. Update: I interviewed Anupy about her career and books for my podcast. Watch this hilarious short video (shared by Kesan, aka the former teenage Chinese clown) of an advertisement for a doll in Korea. I guess they enjoy playing with bodily functions over there.